Sasha's love of horses has been the only constant during her life in foster care. 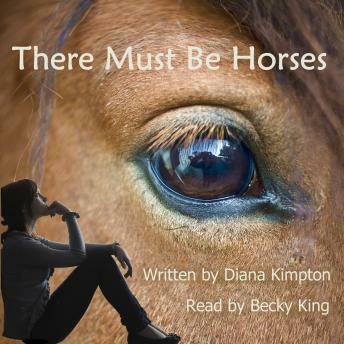 When a failed adoption placement results in yet another move, she ends up at Kingfishers - a farm where Joe and Beth train troubled horses. Sasha is sure this is the perfect place to live. But she can't stay. Joe and Beth have only agreed to take her for a little while, and they only did that reluctantly. Can Sasha persuade them to change their minds and let her stay forever? And can she do it before her social worker finds her another home - one without horses?